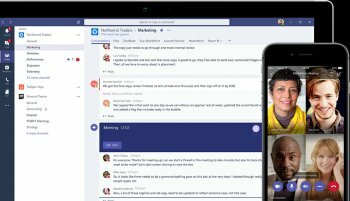 Microsoft Teams is a chat-centered workspace in Office 365. 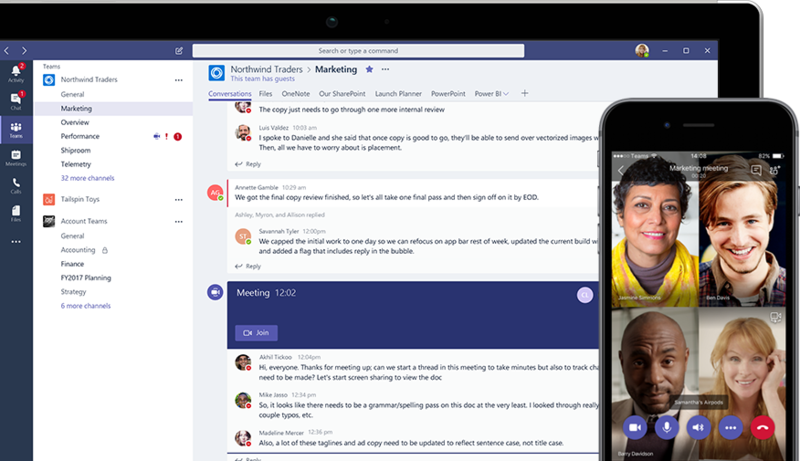 Instantly access all your team's content from a single place where messages, files, people and tools live together. Teams is a complete chat and online meetings solution. Host audio, video, and web conferences, and chat with anyone inside or outside your organization. Teams makes teamwork easy. Coauthor and share files with popular Office 365 apps like Word, Excel, PowerPoint, OneNote, SharePoint, and Power BI. Integrate apps from Microsoft and third-party partner services to tailor your process, increasing teamwork and productivity. When paired with Phone System, Calling Plan, and/or Direct Routing, Office 365 provides a full business calling experience in Teams on a global scale. Successful communication requires the right audio devices, and our partners offer reliable, certified phones and peripherals that enhance your experience.